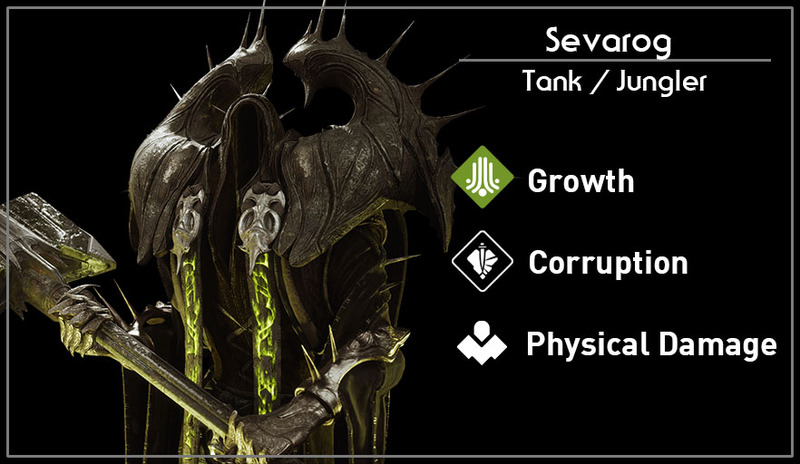 Sevarog is a beefy bruiser and jungler. His high durability, forward dash and long range root makes him perfect for ganking an unsuspecting enemy from the jungle. His power lies in his ability to farm minion kills with his Q skill. Not only does it increase in strength, but minions killed using the Q skill also increases his max HP. Although not the most hard hitting jungler, his good durability and crowd control makes him a great front line bruiser and a dangerous ganker from the jungle. 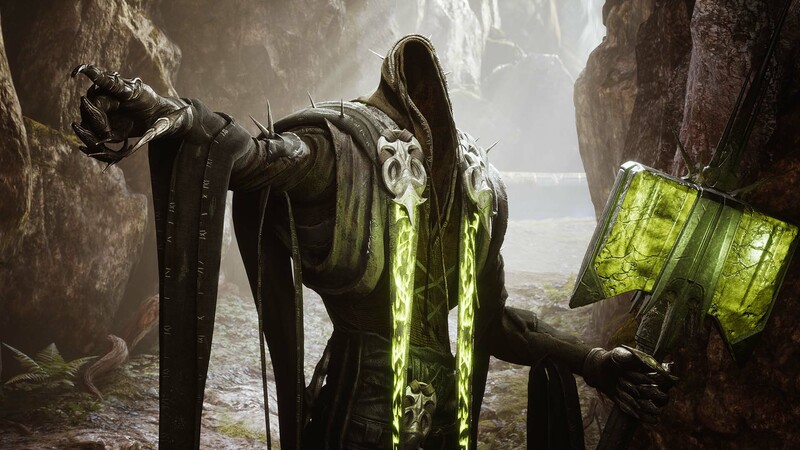 Sevarog gains health based on Siphon stacks. Power grows when reaching 20/40/60/80 stacks. Sevarogs basic attack, swinging his hammer for cleave damage. Sevarog rushes forward a short distance passing through all enemies. Sevarog deals damage to a short area in front of him. All targets killed using this ability gives him Siphon Stacks. Siphon increases in power when reaching 20/40/60/80 stacks. Immobilizes all targets hit for 1 second and slows them afterwards. Sevarog gives his hammer a strong swing knocking back all heroes a short distance and instantly killing all enemy minions hit.